All that is left is to make sure that you look as stunning and breath-taking as you have always envisioned you would be on your wedding day. You want your wedding day hairstyle and makeup to perfectly complement not only your dress, but also your physical features and personal style. At Therapy Hair Studio, your stylist both for makeup and hair will meet not only these needs, but treat you like the princess that you are on your wedding day. You’ll speak with one of our hair and makeup stylists, who will consult with you until you have settled upon a style that will ensure your unmatched beauty. Our professional team is up to date on the latest wedding trends for hair and makeup, and have the skills to create the style perfectly matched to your needs and desires. On the big day, your stylist will focus on making you look and feel your best. You will be given all of the personal time and attention needed to successfully complete your beauty transformation. 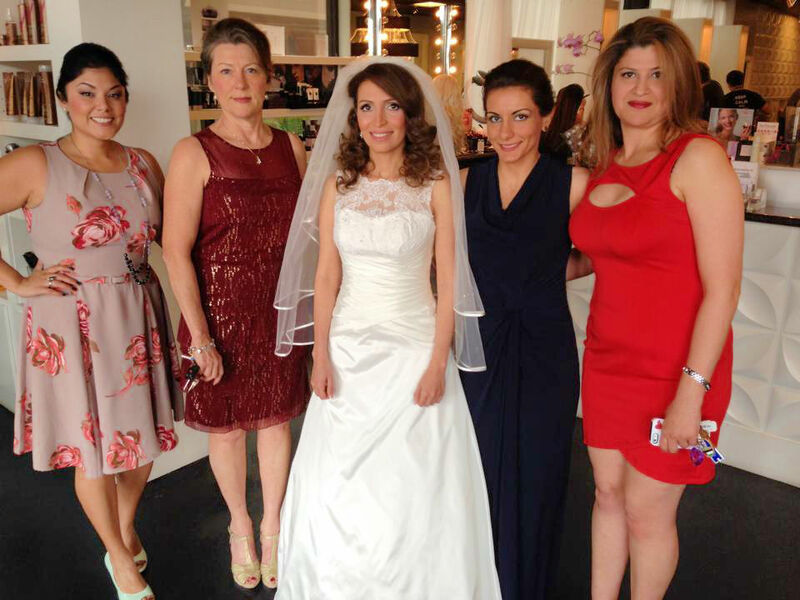 We will ensure that the bridal party is made over into the perfect compliment to you. We can even travel to you if you would prefer to have your hair and makeup done on location. Click here for wedding info. When your hair is complete you won’t have to give it another thought. You can walk down the aisle with the confidence that you are the elegant bride that you dreamed of being on this most special day. For more info about our wedding and special event packages please see our Therapy Hair Studio Bridal Contract. Our wedding services book out 9-12 months in advance. Please book early, we look forward to being a part of your special day! Call (713) 355-HAIR to speak with a Therapy specialist.